When you have an idea for a product or service, what better way to raise money than crowdfunding. Here is a list of current and past campaigns that I'm supporting. Who doesn't love a good technology gadget? 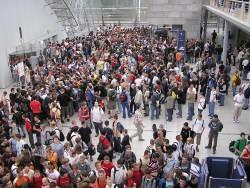 When I first found out about crowdfunding or crowdsourcing, I was skeptical. But now, I'm supporting a good number of projects. I have always loved my gadgets and I'm always on the lookout for new toys. With crowdfunding projects, if you have the patience, you can receive some very enticing technology gadgets. Here are some of my recent campaigns that I've been supporting. For those who read my review about Waze, you know that I've been using a make-shift office binder clip attached to my vent in my car to hold my phone when I need to travel and navigate. When I saw this on Indiegogo, this was a necessity for me. The RadMo (Review) is adjustable to work with a smartphone or tablet (full or mini) in either portrait or landscape mode. The hard plastic on the bottom slides right into the CD player and holds it pretty tight...even if there is a CD in the player. It's quite easy to dock and undock the RadMo to the CD player and it only cost me $20. So naturally, I had to grab one. They have a ton of options and I received mine in the mail relatively quick. I would definitely recommend this little assistant. Coin is one of the campaigns where I haven't received anything yet. To summarize, Coin is the size of a credit card that can load a total of 8 credit, gift, or debit cards onto one coin. Using the interface on the card, you select which card you wish to scan at the time and then scan it. Instead of having eight cards in your pocket at one time, you have one Coin. Sounds enticing, but I just haven't received one yet. If you want to relate this product to a movie, think Minority Report. The Myo is a device that sends signals to a computer based on your muscle movements transmitted through an armband. I just received mine so I will be reporting on this device at a later time. There are some examples of using the Myo on Thalmic's YouTube page. I am just waiting for someone to combine two Myos with a Microsoft HoloLens. This will probably provide the closest thing to a working "Minority Report" system. I have also seen a DJ use two Myos to control a light show. If you want to purchase one, you can buy it directly from their site or you can purchase a Myo through Amazon . So there I was. I was expecting a Coin to come in the mail sometime soon and my wallet looks like it went through WWII. I looked around, found The Articulate Wallet 2.0, and ordered one ($25). Why did I spend $25 for an Articulate Wallet? As thin as my Google Nexus! It has a special RFID blocking liner so you're identity is safe. I am extremely satisfied with my wallet and glad I bought one. 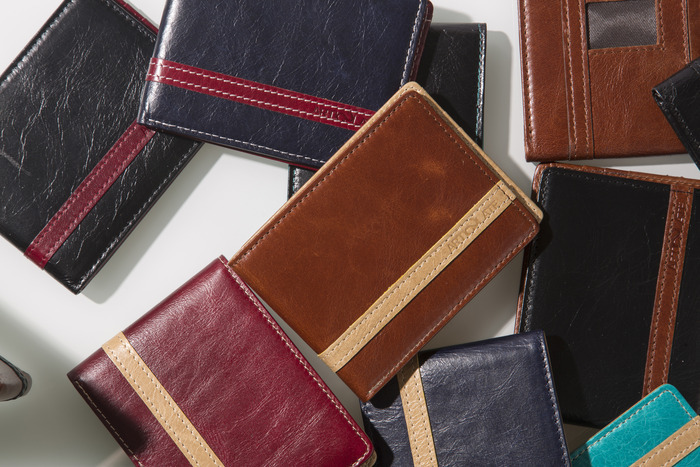 UPDATE: For the women, they just started manufacturing clutch purses. The Rocketbook campaign is still going strong and they have met their goal (currently 1,842%; raised $368,435 at last check). The Rocketbook is a physical notebook that uses Pilot's FriXion pens. Use the notebook just as you would any other notebook. With your smartphone (iPhone or Android), install their Rocketbook app. Before you take a picture of the page in the notebook using the app, color in one of the icons at the bottom to determine what service you want to save it to in the "cloud." You can define what services are attached to each icon. If the fish is colored, it will send it to Dropbox. If the crown is colored, send it to Google Docs. You define the destination. It could go to Dropbox, Evernote, Google Docs, or your email address. Here's the punchline. 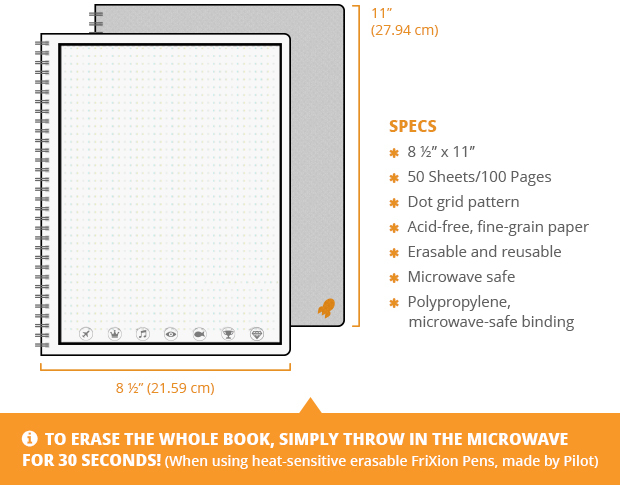 If you want to clear the entire notebook, throw it in the microwave. Throw it in the microwave for 30 seconds and it will clean the entire notebook. I haven't received this yet, but it will be interesting when I do. Crowdfunding is becoming so widespread that even the cast from Firefly are getting in on the action with Con Man. There's even a Super Troopers 2 if you feel like supporting a future movie as well (Heck, it worked for Veronica Mars!). If you are a true techie and you found a great campaign on either Kickstarter or Indiegogo, post your campaign you supported in the comments below. I'm always up for a great gadget. Post your favorite projects that you've backed. I'm interested to hear what you've supported.